On April 7, Tanzanians celebrate Sheikh Abeid Amani Karume Day. This public holiday commemorates the assassination of the first President of Zanzibar and first Vice President of Tanzania. Abeid Karume was born on August 4, 1905. He left Zanzibar in the early years of his life and traveled much. In the 1950s, he became the leader of the moderate Afro-Shirazi Party. In 1963, Zanzibar gained independence from the UK as a constitutional monarchy. In the early 1964, the Sultan of Zanzibar was overthrown during the Zanzibar Revolution. On the night of revolution, Karume was not in the country. The leader of the revolution John Okello invited Karume back to Zanzibar to assume the title of President. In April 1964, Karume agreed to a union with Tanganyika. 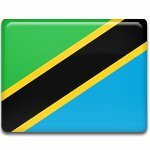 The two countries united to form the Republic of Tanzania. Tanganyikan President Julius Nyerere became President of Tanzania, while Karume assumed the title of Vice President. Zanzibar remained a semi-autonomous region within the newly created republic, therefore Karume had quite a lot of political power. On April 7, 1972, Karume was shot dead by four gunmen in Zanzibar Town. The anniversary of his death was designed as a public holiday.